Swords There are 11 products. 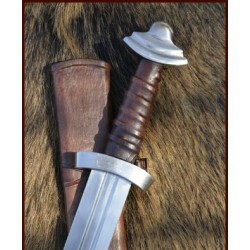 Battle ready replica of a viking sword. This sword is very good ballanced and its weight is approx. 1100 g. Manufactured in the Czech Republic. Viking sword Gjermundbu (Norway, 10th century) with silver wire. Scabbard for a Viking Sword with a wooden core. 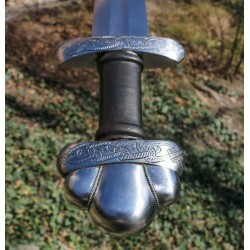 We will make this scabbard exactly on the sword from our offer. 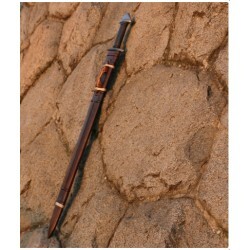 It is a custom made scabbard with a processing time approx. 1-2 weeks.